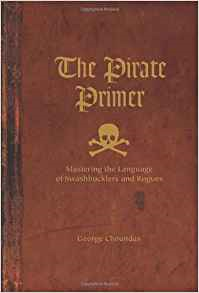 Pirate Language in the Georgian Underworld by Katherine Bone! Word substitutes like these aren’t as difficult for the average reader to understand. But what happens when characters hail from the seedier side of society? 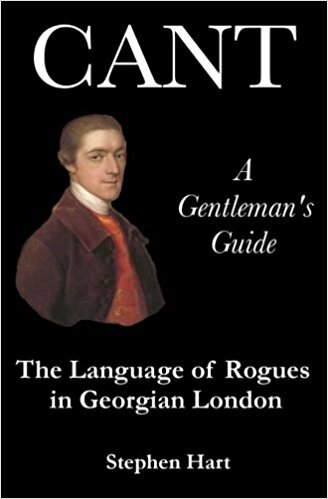 Enter the book CANT, A Gentleman’s Guide, The Language of Rogues in Georgian London. Love this introduction to the book! In CANT, the language of the London Underworld, readers are taken to places where the poor, thieves, rogues, mayhap pirates and murderers roamed. If one couldn’t speak the speak, one might ‘Catch a Cold’ (get into trouble). Think Charles Dickens’s Oliver Twist, though it takes place 70 miles north of London in 1837, readers can relate to the characters’ accents and seedier environment. Everyday words used in shabbier districts, not far from where aristocrats dwelt, are definitely contrary to the modern ear, confusing, strange, and oftentimes amusing. Used sparingly modern readers relate to the characters, setting, and plot. Rum Prancer Do you picture a dancing pirate on the deck with rum in hand? Get ready for this. Rum Prancer refers to a fine, beautiful horse. Rum Kicks Sounds like something a pirate might do while hanging from a noose at Tilbury Point, but we’d be wrong. Rum Kicks refer to gold or silver-brocade breeches. Rum Clout Something a pirate might have when the rum is never gone. Nope! Rum Clout means a fine silk handkerchief. Rum Nab The old nab the rum and run trick, eh? Could work, except Rum Nab refers to a good hat. Rum Nantz A man named Nantz who likes to drink rum? Wrong. Rum Nantz refers to good French brandy. And there you have it! Adding ‘cant’, ‘Flash Lingo’, ‘St. Giles’ Greek’, and ‘Pedlars’ French’, to stories provides that extra level of depth needed to help readers travel back in time. As a historical author, I’m grateful to George Chaundas, Stephen Hart, and many other researchers for their brilliant and thrilling books. Like good wine before its time, there’s nothing better than ‘Faking a Screen’ (writing) and ‘Snilching’ (learning to behave) in roguish circles. 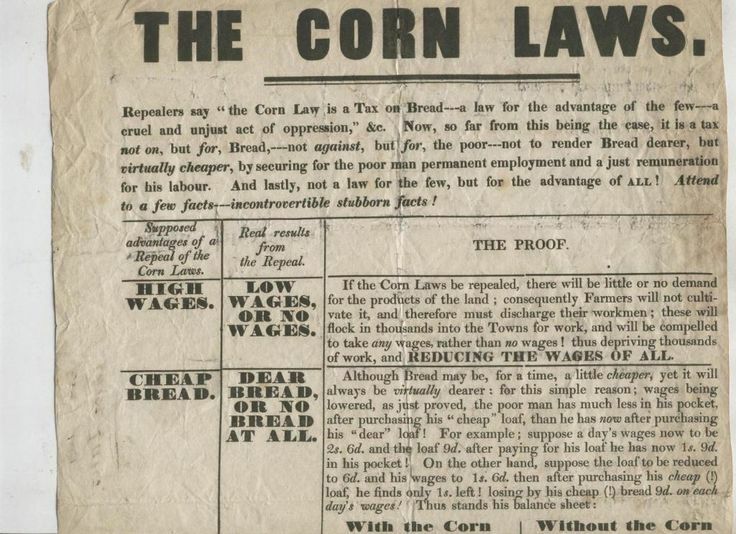 In fiction set in Regency England, there’s often some mention of the Corn Laws. These laws regulated the importing of grain (in England, corn refers to any grain). Corn Laws date back to the Twelfth Century, however, they became particularly important in the late 1700’s and early 1800’s due to both a population growth in Britain and blockades from the French during the Napoleonic Wars. In the 1700’s, wheat prices had fallen due to an influx of foreign grain. At the same time, the Enclosed Acts had been passed—this meant there was no longer any open land that anyone might farm. Added onto all of this were the Game Laws—the penalty for poaching “or even being found in possession of a net at night” was transportation. While the Enclosure Acts enabled landowners to extend their parks and fields, those without land lost their right to trap extra meat on open land. The poor were now in a precarious spot. 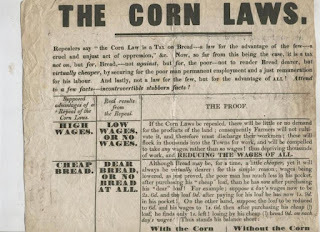 The Corn Laws stated that no foreign wheat (the staple of the poor) could be imported until British wheat reached a price of 80/- per quarter. At the same time, those who worked the fields did not see an increase in wages to match and increase in food prices. 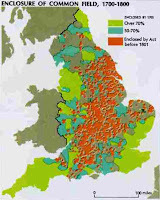 Bad harvest hit England in 1795, again over 1799 to 1801, and then again in 1802 and yet again between 1812 to 1822. One bad harvest is one thing—almost every farmer knows to store grain to deal with a bad year, and large scale farms can always get credit to get past one rough season. But repeated reduction in production meant two things—higher prices of the most basic food stuffs, and those with low incomes had less money to spend on goods. Manufactures also suffered losses due to the bad years. 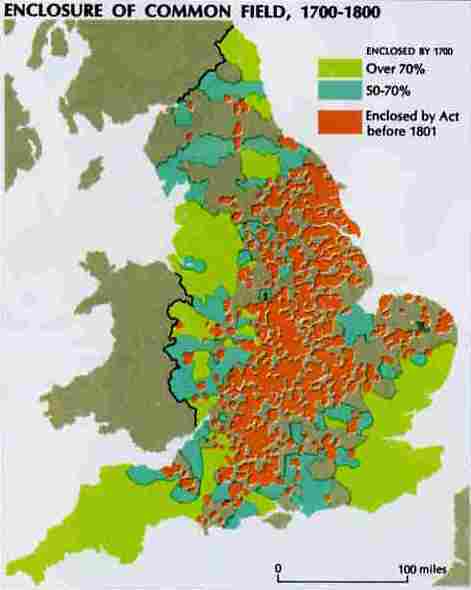 The years 1810–1811 had cold winters (1811 was the year the Thames froze sold, and it froze again in 1814), and then heavy rains often brought floods, particularly to the east, where the fens provided very bad drainage. Poor harvests were noted in 1809 to 1812, with rioting as “banks failed and export trade collapsed.” Along with this was the Luddite uprising, and in 1812 in Nottingham, “a riot, engendered by the prevailing famine, commenced in the morning.” But the fail harvest came in better than in the prior year, which helped with a temporary fall in grain prices. With all this going on, it starts to seem reasonable why England feared there might be a similar revolution to the one that occurred in France. France’s revolution had been driven not just by a need for equality, but by poor crops and an increased population. England faced similar issues. 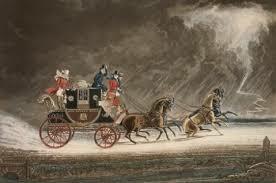 The winters of 1813 and 1814 were again cold and long, delaying the ability to plant. Frosts were reported in many districts that lasted on through May, and summer storms brought hail and rain, which caused extensive crop damage in Leicestershire and Nottinghamshire. By the end of August, the weather turned hot and farmers who had survived were able to get in their harvests. By October and November, early freezes and hard rains hit many areas of England and Scotland. In 1815, the government attempted to fix corn prices, and, but the country saw unrest and riots in may of the hardest hit areas. In 1815, the national debt also stood at £834 million, but the Income Tax, enacted to pay for the war with France was eliminated, shifting the burden of payment to indirect taxation. Again, the poor were hit the hardest as tax fell onto good purchased. Those with money could afford this—those without had even less money. The end of the war in Europe finally meant that Britain could again freely import grain, but any import was more expensive than local produce—and the grain could only be imported based on what the Corn Laws allowed. But 1815 again saw a hard winter, as did 1816. The Farmer's Magazine summarized 1816’s harvest as “uncommonly unpropitious” and comparing it with “the memorable year 1799”. While hardy root crops that could survive frosts would provide some food, grains and cash crops failed. The Farmer's Magazine reported that many tenant farmers were unable to pay rents, and many landlords were unwilling to offer abatement. In Wales, the tax was collected in certain districts in goods rather than in coin. 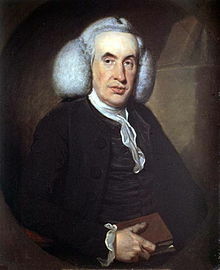 Reports in Nottingham were that gentlemen who were well off would come to market and distribute food to those without. At the same time, Britain was also having to deal with a large military force returning from Europe, most of whom had not been back home in a very long time. This provided an even larger workforce, but in some areas jobs were scarce or low paying. The smart soldiers stayed in the army and went on to other spots of unrest in the growing empire. Another wet summer occurred in 1817, with crops reported as “bad” in Scotland, and then 1818 provided a long, hot, dry summer, with rains finally arriving in autumn, then back to cold in 1819 with late frosts in May, and wet again in 1820. The up and downs of the weather continued on through until the late 1800s. And it was the potato blight and famine in 1845 that finally brought about the end of the Corn Laws, which were repealed in 1846. Ah, summer! It conjures up images of lazy summer days sipping lemonade and swimming. In mid June to early July, when the whirl of the London Season wound down because parliament ended, the gentry and aristocracy went back to their country homes. Which begs the question, since they were so rich and didn't have to work for a living, what did they do all day--especially in the summer? The answer to this may surprise you. The British nobility never divided their wealth among their children; they left all of it to their heirs--usually their firstborn son. If they had no son, their entailed estate went to the next closest living heir and that was all pre-determined; there was no choosing an heir. 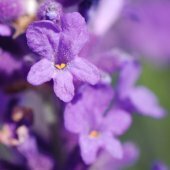 (Certain things could be willed to those who are not the heir but that's a topic for another time) A younger son may inherit a lump sum when he reached adulthood, or he may receive an annual or month allowance. Sometimes that was enough for him to live off of, thus freeing him to enjoy hedonistic pleasures. However, most younger sons needed an occupation unless they inherited an in-entailed estate or money. They often became officers in the Royal Navy or army because they were educated. This was crucial when needing to read orders and write correspondence. Many became involved in the law as barristers, attorneys, and magistrates. Occasionally I hear of a younger son becoming a physician, but that seems to be rare. But for now, I will focus on those who don't have to work in an occupation for a living and who have a large estate for which they are responsible. Wealthy landowners such as Mr. Darcy spent a great deal of time managing their lands. Think of it as being the CEO of a multi-million dollar corporation. Yes, he has upper- and mid-management, but there are many decisions only he must make, meetings he must attend, and a staggering load of responsibility. 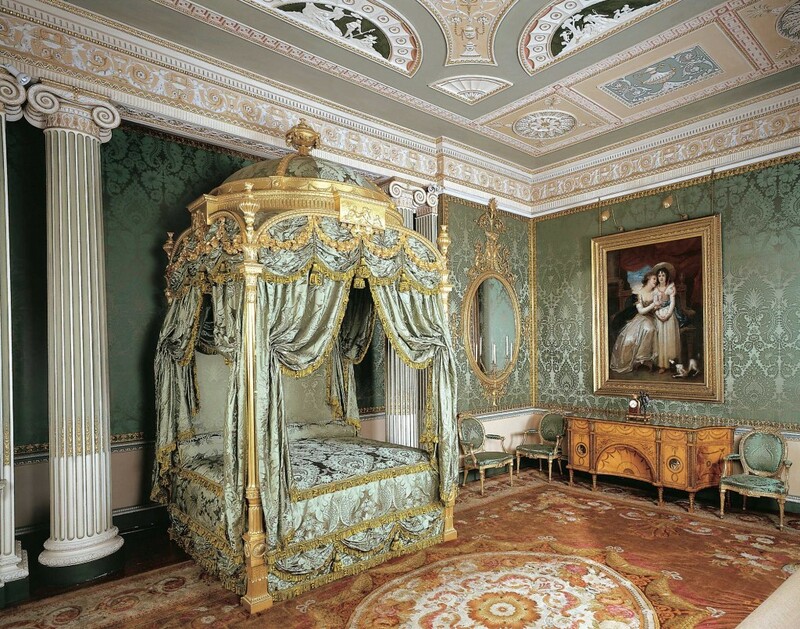 A Regency landowner had solicitors, land stewards, and workers, but he had the responsibility to care for a huge estate which usually included many different locations, houses, lands, and tenants. Think of it as owning a whole bunch of rental properties with tenants who constantly needed repairs and help with all sorts of things which affected the overall prosperity of the estate. He might also be involved in investing and buying or selling properties which might involve travel. How he managed the family estate would affect generations to come, a heavy responsibility to shoulder with much at stake, so most took this seriously. In addition to caring for their estate, most landowners were involved in politics. If they were titled, they were expected to serve in the House of Lords. If not, many served in the House of Commons. Parliament for months at a time, which took them away from their lands in the country. Those who served in the House of Lords could be called into serve as jury if a peer went to trial. So even though a number of them did enjoy hedonistic pleasures, an honorable landowner's life was not all fun and games, not even in the summer. I’ve just finished writing the second book in my Widow’s Club series and I ended up doing a fair amount of research on letters, letter writing, and the post during the Regency as my characters wrote a lot of letters as an integral part of the plot. 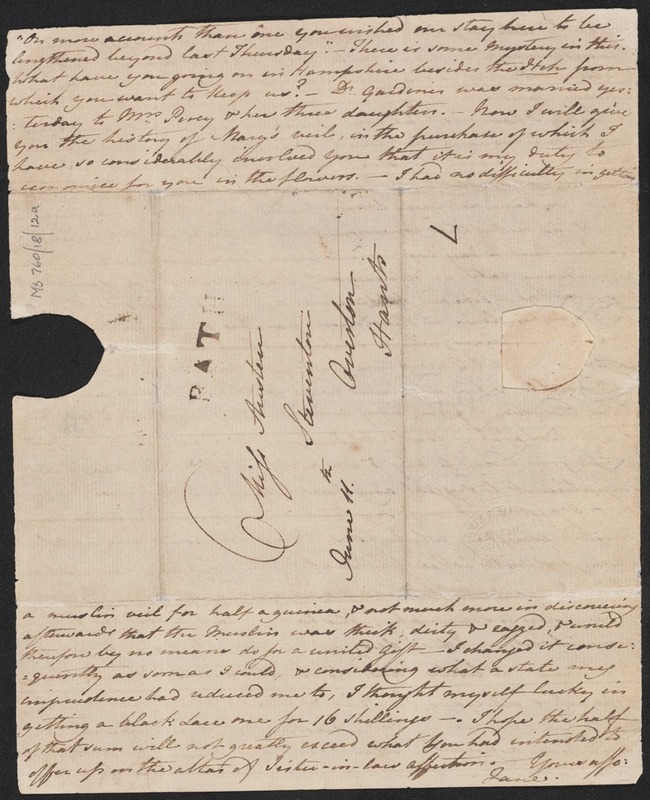 Since I wanted to share some of the more interesting things I found out about the art of letter writing during the era, I’ve devised a short series of posts on this topic, starting with envelopes. 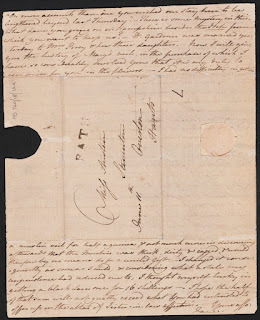 Historical research; Real-life counterfeiting in the Regency Era. Many of the events in my regency-era novels are based on real-life historical facts. The heroine of my new release, A Counterfeit Heart, is a Napoleonic French counterfeiter, and I unearthed some amazing real-life stories of wartime forgery during my research. Napoleon really did employ a team of forgers to print fake currency to ruin his enemies. Letters written by him survive to prove the existence of a counterfeiting operation set up on his orders. He used fake currency to pay his own soldiers in Russia, and sent large quantities of fake Austrian banknotes into the country to try to destabilize the Austrian economy. Napoleon’s counterfeiting of Austrian currency put him in an awkward position a few years later when he married his second wife, the Austrian archduchess Marie-Louise. He was forced to issue a public ban on printing counterfeit money against her country, but of course, by then it was rather too late! The use of counterfeit money has been a strategy in warfare for centuries. The idea is to flood the enemy's economy with fake money, devaluing the real money and causing an economic collapse. During the American Revolutionary War the Continental Congress decided to create a new Continental currency to fund the fighting. Among the people enlisted to print this new currency was Paul Revere. To counter this, Great Britain enlisted teams of counterfeiters to travel throughout the American Colonies, placing their counterfeits into circulation in the hopes that it would cause an economic disaster. These counterfeiters were known as "shovers," presumably for their ability to "shove" the fake money into everyday use. Counterfeiting was a problem in Georgian England, too. The Bank of England took it very seriously and employed a team of lawyers at great expense to ensure prosecutions. The statistics are dramatic: the period 1783-1797 saw only four prosecutions for forgery, but 1797-1821 saw over 2000 prosecutions and over 300 executions. 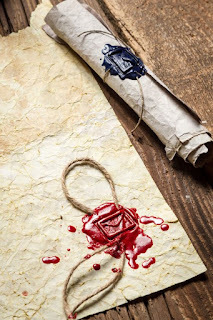 The Bank spent thousands of pounds to secure these executions, and in some years, such as 1819, this amounted to more than was lost through forgery. 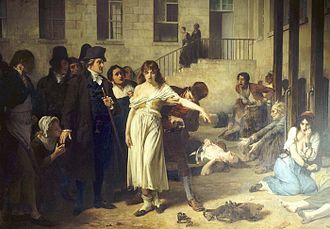 Almost one third of all executions at this time were for forgery, the vast majority concentrated in the post-Napoleonic war period, when economic depression and the demobilization of thousands of troops and sailors produced ever greater incentives for the forger. In 1818, when almost 30,000 fake banknotes were in circulation, public sympathy for the hapless plebeian forger led to numerous acquittals. 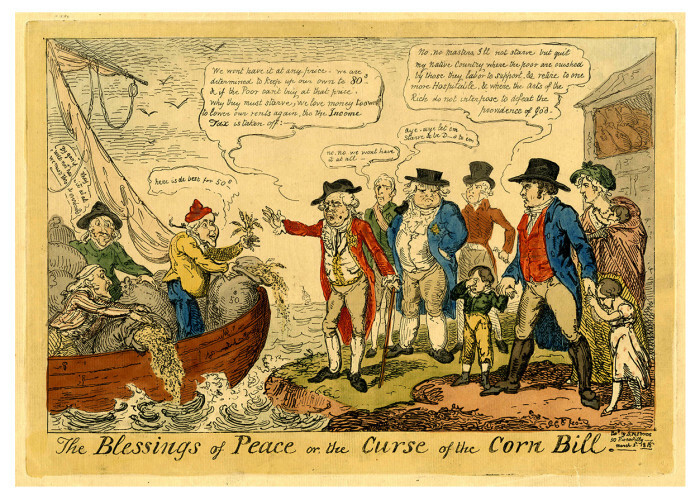 And this cartoon, by the well-known satirical illustrator George Cruickshank, also shows forged notes, and hints at the fact that paper currency was often considered untrustworthy in comparison to solid gold coins. A forged GB banknote of 1812. A real British Banknote from 1811: one pound note with printed serials and date, signed in ink by the cashier. And just to prove that ‘plus ça change,’ almost a hundred years after Napoleon’s attempts, another leader, Adolf Hitler, tried something very similar during the second World War, forcing prisoners to fake thousands of British banknotes in a plan called Operation Bernhart. The initial plan was to drop the notes by plane over Britain to bring about a collapse of the British economy. It was directed by, and named after, SS-Sturmbannführer (Major) Bernhard Krüger, who set up a team of 142 counterfeiters from inmates at Sachsenhausen concentration camp at first, and then from other camps, to forge British currency. So as you can see, history is full of extraordinary examples of counterfeiting, and for A Counterfeit Heart I employed the age-old authorial tactic of wondering ‘what if . . ?’ What if Napoleon were defeated before he could put his plans to flood Britain with counterfeits into action? What if one of his forgers was a feisty young woman named Sabine de la Tour? What would she do with a fortune in fake money? A Counterfeit Heart is my answer. Keep scrolling down for the first chapter of A Counterfeit Heart. Kate Bateman (writing as K. C. Bateman) wrote her first historical romance in response to a $1 bet with her husband who rashly claimed she'd 'never finish the thing.' She gleefully proved him wrong with a historical set in the Italian Renaissance. 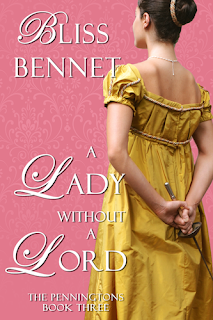 Now writing for Random House Loveswept, her latest 'Secrets & Spies' Regency-era series features her trademark feisty, intelligent heroines, wickedly inappropriate banter, and heroes you want to alternately strangle and kiss—all mixed up in the intrigue and turmoil of the Napoleonic wars. When not traveling to exotic locations 'for research', Kate leads a double life as a fine art appraiser and on-screen antiques expert for several TV shows in the UK, each of which has up to 2.5 million viewers. She splits her time between Illinois and her native England and writes despite three inexhaustible children and a husband who has flatly refused to read any of her books 'unless she hits the NY Times Bestseller list.' It is—naturally—her fervent desire to force the semi-illiterate, number-loving cynic to do so. He still owes her that dollar. Bois de Vincennes, Paris, March 1816. It didn't take long to burn a fortune. It was Sabine's turn to roll her eyes. She bit her lip as a wave of guilt assailed her. Anton was only in danger of losing his head because of her. For years he’d protected her identity by acting as Philippe Lacorte’s public representative. He’d dealt with all the unsavory characters who’d wanted her forger’s skills while she’d remained blissfully anonymous. Even the man who'd overseen the Emperor's own counterfeiting operation, General Jean Malet, hadn't known the real name of the elusive forger he’d employed. He’d never seen Sabine as anything more than an attractive assistant at the print shop in Rue Pélican. Now, with Napoleon exiled on St Helena and Savary, head of the Secret Police, also banished, General Malet was the only one who knew about the existence of the fake fortune the Emperor had amassed to fill his coffers. The fortune Sabine had just liberated. Anton frowned into the flames. The pink glow highlighted his chiseled features and Sabine studied him dispassionately. She knew him too well to harbor any romantic feelings about him, but there was no doubt he had a very handsome profile. Unfortunately, it was a profile that General Malet could recognize all too easily. “It could be a trap,” Anton murmured darkly. “This Lovell says he wants to employ Lacorte, but we've been on opposite sides of the war for the past ten years. The English can’t be trusted." Sabine let out a faint, frustrated sigh. It was a risk, to deliver herself into the arms of the enemy, to seek out the one man she'd spent months avoiding. Her heart beat in her throat at the thought of him. Richard Hampden, Viscount Lovell. She'd only seen him once, weeks ago, but the memory was seared upon her brain. He, of anyone, had come closest to unmasking her. He'd followed Lacorte’s trail right to her doorstep, like a bloodhound after a fox. She’d barely had time to hide behind the back-room door and press her eye to a gap in the wood before the bell above the entrance had tinkled and he'd entered the print shop. It had been dark outside; the flickering street lamps had cast long shadows along Rue Pélican. Sabine had squinted, trying to make out his features, but all she could see was that he was tall; he ducked to enter the low doorway. She raised her eyebrows. So this was the relentless Lord Lovell. Not for the first time she cursed her short-sightedness. Too many hours of close-work meant that anything over ten feet was frustratingly blurry. He moved closer, further into the shop—and into knee-weakening, stomach-flipping focus. Sabine caught her breath. All the information she'd gleaned about her foe from Anton's vague, typically male attempts at description had in no way prepared her for the heart-stopping, visceral reality. Technically, Anton had been correct. Richard Hampden was over six feet tall with mid-brown hair. But those basic facts failed to convey the sheer magnetic presence of his lean, broad-shouldered frame. There was no spare fat around his lean hips, no unhealthy pallor to his skin. He moved like water, with a liquid grace that suggested quietly restrained power, an animal at the very peak of fitness. Anton had guessed his age as between twenty-eight and thirty-five. Certainly, Hampden was no young puppy; his face held the hard lines and sharp angles of experience rather than the rounded look of boyhood. 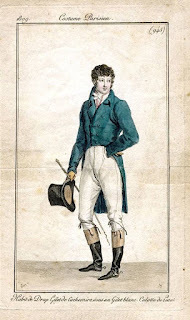 Sabine studied the elegant severity of his dark blue coat, the pale knee breeches outlining long, muscular legs. There was nothing remarkable in the clothes themselves to make him stand out in a crowd, and yet there was something about him that commanded attention. That drew the eye, and held it. Her life often hinged on the ability to correctly identify dangerous men. Every sense she possessed told her that the man talking with Anton was very dangerous indeed. Sabine pressed her forehead to the rough planks and swore softly. The Englishman turned, almost as if he sensed her lurking behind the door, and everything inside her stilled. Something—an instant of awareness, almost of recognition—shot through her as she saw his face in full. 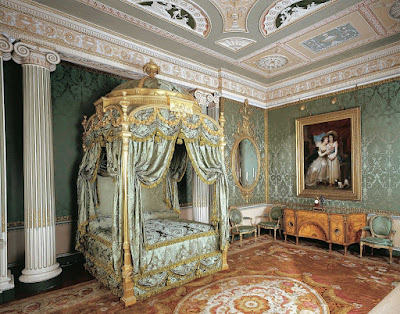 Of all the things she'd been prepared for, she hadn't envisaged this: Viscount Lovell was magnificent. And then he’d turned his attention back to Anton, and she’d let out a shaky breath of relief. She'd dreamed of him ever since. Disturbing, jumbled dreams in which she was always running, he pursuing. She’d wake the very instant she was caught, her heart pounding in a curious mix of panic and knotted desire. Sabine shook her head at her own foolishness. It was just her luck to conceive an instant attraction to the least suitable man in Europe. The thought of facing him again made her shiver with equal parts anticipation and dread, but he was the obvious answer to her current dilemma. He had money; she needed funds. Voilà tout. At least now she was prepared. One of the basic tenets of warfare was ‘know thine enemy,’ after all. Sabine drew her cloak more securely around her shoulders and watched Anton feed the rest of the money to the flames. The embers fluttered upwards like a cloud of glowing butterflies. When this was all over she would be like a phoenix. Philippe Lacorte would disappear and Sabine de la Tour would emerge from the ashes to reclaim the identity she'd abandoned eight years ago. She would live a normal life. But not yet. There was still too much to do. They couldn't go home, to the print shop on Rue Pélican. Malet had already ripped the place apart looking for ‘his’ money. Her stomach had given a sickening lurch as she’d taken in the carnage. Books pulled from the shelves, paintings ripped from the walls, canvases torn. Old maps shredded, drawers pulled out and upended. Their home, her sanctuary for the past eight years, had been utterly ransacked. But there had been triumph amid the loss. Malet had found neither Anton nor the money. And if Sabine had anything to do with it, he never would. Anton hefted the two bags of English banknotes that had been spared the flames as Sabine turned her back on Paris. For the first time in eight long years she was free. It was time to track down Lord Lovell.